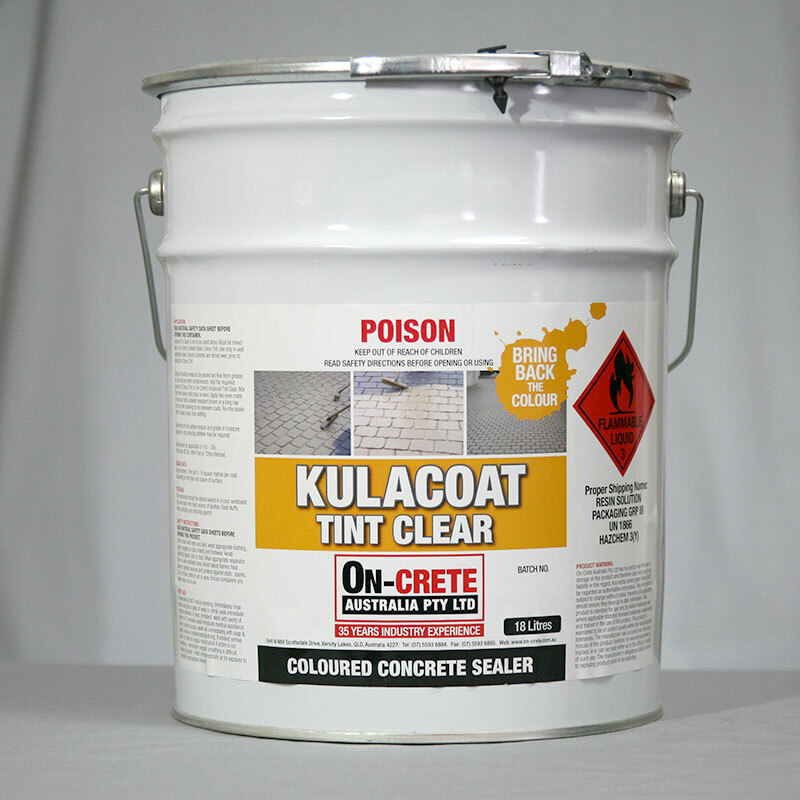 Kulacoat Tint Clear is a specially formulated concrete sealer designed to be pigmented with one of On-Crete's Solvent Based Tint's which forms the Kulacoat Coloured Sealer System. Unlike normal concrete sealers, Kulacoat's formulation will help achieve an even disbursement of tint with minimal pigment separation or settling. Once tinted, Kulacoat produces a semi-gloss to low-sheen coating.